Not enough modern operas really engage with the problems of our times. In this sometimes absurdist but always biting satire, Aulis Sallinen lashes into concerns ranging from the environment to the abdication of personal responsibility. Aptly described as 'a fairy tale for grown ups' (...). 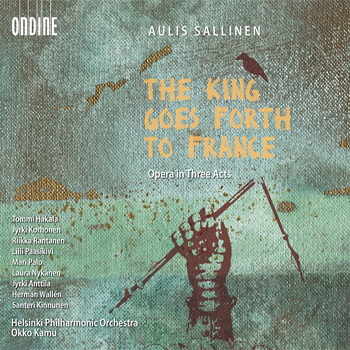 Sallinen's strongest music in an opera that shows his innate theatricality. It's a hugely welcome recording (...). Excellently documented (...). Warmly recommended . Tommi Hakala's King and Jyrki Korhonen's Prime Minister are standouts (...), the four women are equally fine. (...) Sallinen's tangy music and apparently sly wit make this a fascinating show, and following the work with the libretto reaps many rewards. A vibrant, unique work. Oko Kamu, who conducted the Savonlinna première in 1984 (...), is an experienced guide, and the cast (...) is uniformly excellent. (...) a thought-provoking, approchable contemporary opera.